Three Things to Teach Every Dog – and How to Make It Fun! Guest Post by: Mat Coulton, founder of Wiley Pup. Our dogs not only bring us joy and purpose in life, they also increase or overall health and wellbeing. Don’t we owe it to them to make sure we are looking out for their health and safety as well? Teach Your Dog – Make it Fun! When we talk about what we can provide for our dogs, we often focus on things like making sure they keep their weight down through proper exercise. Sometimes we talk about basic dog manners and diet as well. However, we should also be looking for opportunities to train behaviors that can protect our companions from potential dangers and emergency situations. Blue Belle loves to do tricks and one of the best treats for rewarding our dog are small treats like these little mini treats from Zuke’s. We received the Zuke’s Mini Naturals Fresh Peanut Butter Formula from Chewy.com to review. The 6 oz. package is actually a pretty large package. And I see that they are on sale at Chewy right now. These treats are wheat, corn and soy free and there are less than 3 1/2 calories per treat. Blue Belle really likes these tasty treats, in addition to using them for training purposes, we also use them inside her Odin Toy. Put your hands (or paws) together for assistance dogs. International Assistance Dog Week is August 2-8. There are three primary types of assistance dogs. Service Dogs – help people with other disabilities. I have a great love for dogs and really appreciate their intelligence. I happen to have epilepsy. Even though my dogs have not been trained to be service dogs, I do notice that they stay very close to my side when I am feeling like I could have a seizure. Please let us know about your experiences with service dogs. Thanks to After Hours Veterinary Emergency Clinic for the awesome infographic helping to spread some knowledge on assistance dogs. A dog litter box is a useful tool in dog potty training. House trained dogs use potty boxes in case of accidental toilet needs, an added benefit to train your dog. Potty training can be hard if you are not using the correct technique. In order to successfully train a puppy or a dog you need to be determined and consistent. If you are not consistent your dog will feel confused as to what to do. Dog potty boxes are beneficial to potty training adult dogs. Dog owners who are living in highrise buildings and apartment must use potty pads inorder to train their dogs. Training your dog to use a dog litter box is easy and it’s just like the old technique of using “paper training”. If you can still remember during the old times when there were hardly any dog supplies people would use paper inorder to potty train. Potty box training is the same idea as paper training. It is not easy but if you follow the correct steps, you will find out that potty training in a potty box is not a difficult thing to do. Here are the following steps that you can follow for effective litter box training. The first thing that you should do is select a place where you will permanently put the box. It is important that it has its own specific place. Your dog will be disoriented or confused trying to find the liter box every time he needs to go to the toilet. It should be stable place and difficult for your dog to drag and move around. Some manufacturers have trays to hold the dog box in place. It is ideal to have a potty tray or holder to avoid your dog from dragging it around. This will also help them identify the potty box from your carpet. The play area and toys should be on a different side as well as the resting area. 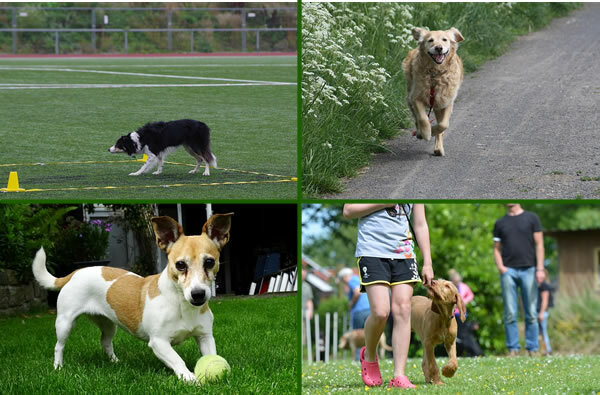 Giving a different setting for every activity of your dog would help him understand the right place to do each thing. Observe your dog at this time. You can play with him if he wants to play. Wait for the time when he needs to go to the toilet for urination or defecation. Instruct him to go to the litter box and say something like “go potty”. In cases that he is not on the dog grass, bring him to it and say “go potty” again repeatedly. When he is already finished do not forget to say “good boy” or “good dog”. Praises and rewards is a form of motivation to do the same thing again next time. As a reward you can treat him with food or toys. Be consistent in training your dog for a couple of days. Continue the process until he can determine where he needs to potty. Consistency is very important so you need give more time in training them. In due time he will know that he needs to go to the potty pad whenever he needs to urinate and defecate. You will be surprised later on that he will quickly go to the area where the potty box is even his in on a different area of the house. Following these simple steps will help you be an effective trainer. You also need to recognize the fact that every dog is different from each other and the length of the training varies from dog to dog. The duration of the training depends upon how immediate your dog’s response. There are a lot of resources out there so I encourage you to do your homework prior to committing to potty training your adult dog. There are a lot of options availabe to you so I recommend you visit your local pet store and compare prices and quality between the different liter box options. Julie, Murry and Blue Belle recognize the importance of taking good care of your dog. The picture to the right shows Blue Belle shortly after she was adopted. We took her for a walk in the park. She loves to go for walks. Our guest blogger shares ten ways to better care for your dog, including spending time with them. We all do what we can to make sure that our pets are healthy, happy and well loved. But could you be over looking something? Here are the top 10 things to do for optimum health and happiness in your pet. Spend time with them! It is not enough to simply leave them in a room with a toy all day, every day. Dogs need that interaction with you to form a bond, trust you, and respect and take direction from you. They need cuddle time, walks, or play time with you to combat loneliness and feel loved. Exercise, exercise, exercise! Our pets need exercise to keep them healthy just like we do. Exercise will help keep them from getting more health problems or becoming overweight. It will also help to work off all their built up energy; thus creating a less crazed, well behaved pet. You are what you eat! Make sure that what your pet is eating is helping out his health instead of causing more problems. Your Veterinarian will be your biggest help in this department-don’t trust what foods the neighbors use, but get professional advice about what is healthy for your pet specifically. 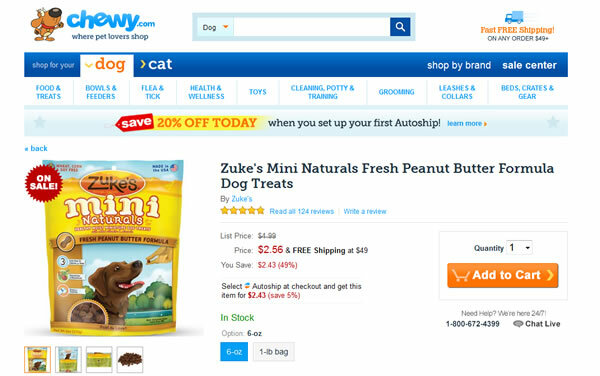 Whether they have allergies, digestive problems, or constipation, switching dog food may be the simple answer. Healthy, Positive Discipline. Mastering this will make both you, and your dog happier. You will be happy because your dog is behaving better and he will be happier because he knows what is expected, right and wrong, and what is allowed versus what isn’t. This sets him up for success more than guessing and trying feverishly to get approval when he doesn’t quite know how. Vet Visits. The minimum requirement for Vet checkups is once a year for most dogs. Doing this can help prevent future health problems from happening or properly treat existing ones. When a pet is healthy inside and out, it is easier for him or her to fully enjoy life. Keep Their Brain Active! One of the most common causes of behavioral issues in dogs is that they are simply bored. Keeping their mind active will not only help their overall well-being, but keep your house intact. A dog that is not being challenged mentally by you will make up their own challenges and games, and their ideas you probably wouldn’t like. Having toys with treats trapped inside or training them new tricks are ideas of how to give them constructive challenges. Gorgeous Grooming. Grooming will not only make your pet pretty, but healthy as well. If fur becomes matted it is unhealthy for the skin, and skin infections may occur. Grooming also helps prevent dogs from getting ear infections, excess tartar on the teeth, and ticks or fleas. Use Positive Reinforcement. Pets need to be appreciated just like we do. You don’t want the only attention that he or she gets to be negative. Let them know when they are doing something right or being obedient. Give them lots of praise and positive attention when they are behaving well, and they will want to do that more often. Social butterflies! It is important for dogs to be socialized to other dogs, animals, and humans. Socializing your pet will make it easier to go for a walk, to the vet, or into a pet store without pandemonium. Teaching your dog to maintain his or her manners and remain calm in lots of different situations will help him to be a better behaved and well rounded pet. All you need is love! Your pet feeling love from you and a secure attachment to you is obviously crucial. However, do not confuse the concepts of love and treats. Throwing the dog a bone is a nice reward, but will not help him to feel the love. Spend the time, and give him actual love instead of just treats. Add these ideas to your routine and customize them to your pet and your life. There is no cookie-cutter, perfect way to take care of a pet; so do it your way. By following these simple steps, your dog is on its way to being the healthy, happy pet you want him or her to be. Author Bio– Ryean Bishop is a health and wellness expert for dogs. He is a strong promoter of annual Veterinarian visits. Please click here to learn more about pet checkups and what you can do to keep your pet healthy. Have you ever tried to learn a second or third language? If you are not living in a country where you are completely surrounded by the new language, with people speaking to you, seeing signs everywhere, it can be quite a challenge to learn a new language. My hubby and I are learning to speak mandarin chinese, but we are here in the U.S. We are not surrounded by people speaking chinese. We do have friends from Taiwan who have returned to their part of the world. We will keep in touch with them and look forward to visiting Taiwan in the future. We have a favorite chinese restaurant and enjoy our attempts to use our mandarin when visiting. We decided to begin our education by using the same books that are utilized by the foreign language class at our local university, so we will learn pinyin and also learn to write chinese characters. In addition to a weekly study group we have with friends and a private tutor, we are also using online resources. I have found many resources on YouTube and some websites with free basic chinese lessons. Today I found the site LearnChineseEZ. They show you words and phrases in english and then in pinyin with a sound link so you can hear the pronunciation. I listen and repeat, it has come in quite handy. And of course google translate is very helpful, but you have to make sure of the accuracy. I think one of my favorite tools is an online learning tool, Quizlet, which provides study tools and games which can be used for learning anything, but is especially fantastic for learning languages. Using Quizlet, I made up my own set of words and phrases and use the flashcard feature, the scatter game and the tests. I have found many useful apps for my iphone, including an app for quizlet so I can practice my sets while on the go. One advantage for us is that we are doing this as a family. 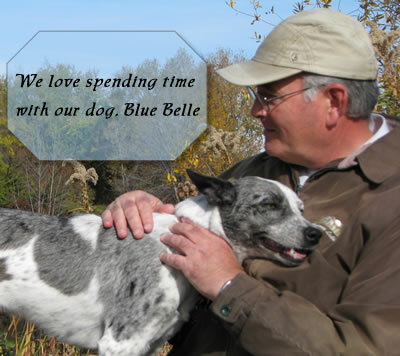 Our dog, Blue Belle, will become a part of the learning process. We can speak to each other in chinese and we can speak to Belle. How long do you think it will take for Blue Belle to comprehend our new speech? She is such a smart dog, I think she will pick up on the new lingo rather quickly. How about you guys? 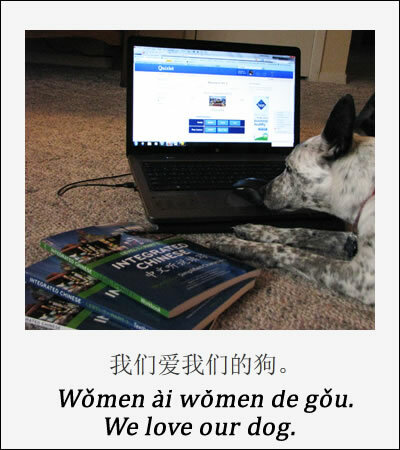 Have any of you taught your dogs a new language?